New Delhi, Oct 30 (IANS) Restored Indian silent film “Shiraz: A Romance of India”, which premiered at the BFI London Film Festival Archive Gala earlier this month, has been given a live score performed by British Indian sitar player and composer Anoushka Shankar. The film will travel to four Indian cities as part of the UK/India 2017 Year of Culture, read a joint statement from The British Council and the British Film Institute (BFI). The BFI holds the original negative material of Shiraz in the Archive. Franz Osten’s Indian silent classic has been remastered by the conservation team at the BFI National Archive. The film will now travel to Hyderabad, Kolkata, New Delhi and Mumbai in India from November 1 to November 5, accompanied by live performance of a specially commissioned score by Shankar and an orchestral ensemble. “Shiraz: A Romance of India” tells the love story of the 17th century princess who inspired the construction of the Taj Mahal. For the modern viewer the appeal of Shiraz is the extreme rarity of a sophisticated silent feature film made outside the major producing nations of the West, the gorgeous settings and costumes and the glories of the spectacular fort at Agra and of course the iconic Taj Mahal, a central character here in its own right. Following the Indian tour the film will be screened around the UK in January 2018 and be released on Blu-ray by BFI. 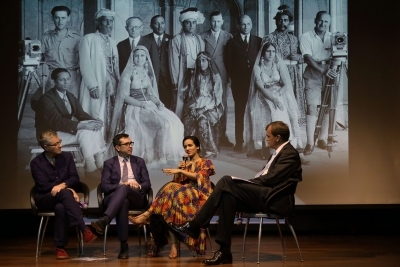 On bringing Shiraz back to audiences in India, BFI Head Curator Robin Baker said: “These gala performances of Shiraz are the culmination of the thousands of hours it has taken the BFI National Archive to restore and transform a silent film classic, ensuring that it is safely preserved for future generations. “Very few Indian silent films survive, which makes ‘Shiraz: A Romance of India’ all the more important and precious. 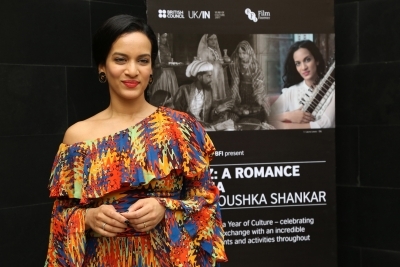 It seems particularly fitting that in this UK-India Year of Culture 2017 we celebrate with a film that brought together talent from India and the UK 90 years ago – while the new score brings the film right up to date thanks to the genius of Anoushka Shankar,” Baker added.